The De La Salle University (DLSU) Animo Squad will perform its cheerdance in the much awaited UAAP Cheerdance Competition (CDC) 2012 held at SM Mall of Asia Arena in Pasay City. Last year, DLSU Animo Squad gave their best at UAAP CDC 2011 held at Smart Araneta Coliseum in Quezon City. De La Salle University (DLSU) is a private Lasallian university in Malate, Manila, Philippines. It was founded in 1911 by De La Salle Brothers as the De La Salle College in Paco, Manila with Blimond Pierre serving as its first director. Meanwhile, if you like to get an update about this post, please bookmark this page and share it to your Facebook friends, Twitter followers and Google+ friends. 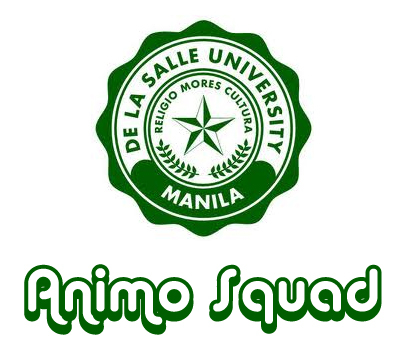 Comments or suggestions about "DLSU Animo Squad (UAAP CDC 2012)" is important to us, you may share it by using the comment box below.